Top choice for home theater and audiophile music systems, this sub delivers massive SPLs and extreme low frequency extension that will astonish, even the most discerning listeners. 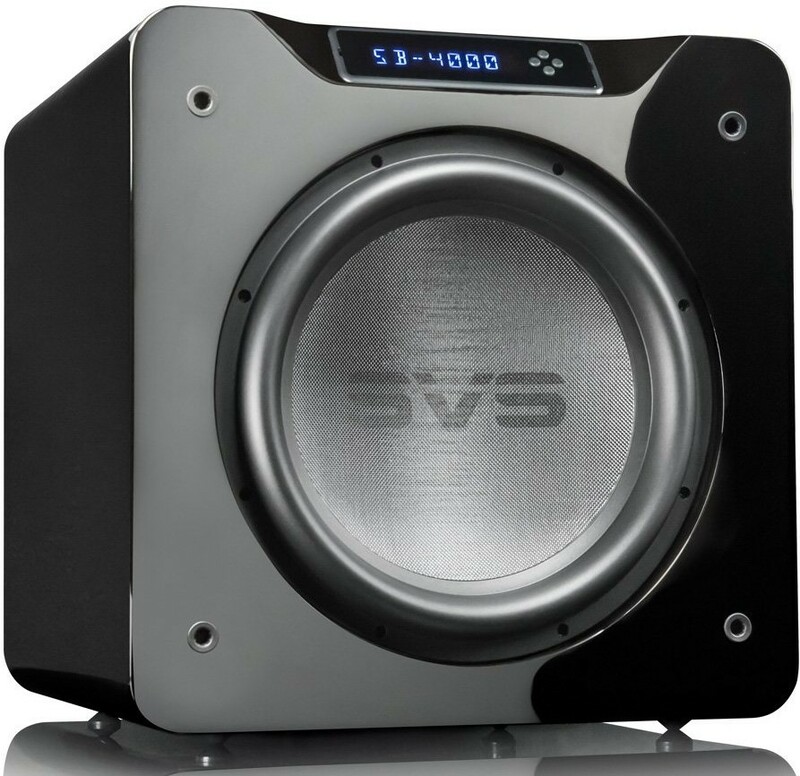 SVS SB-4000 subwoofer has a sophisticated DSP amplifier, innovative driver and a sealed box design master room gain and command a space with deeper bass and higher output levels than what is typically possible from a subwoofer of its size. 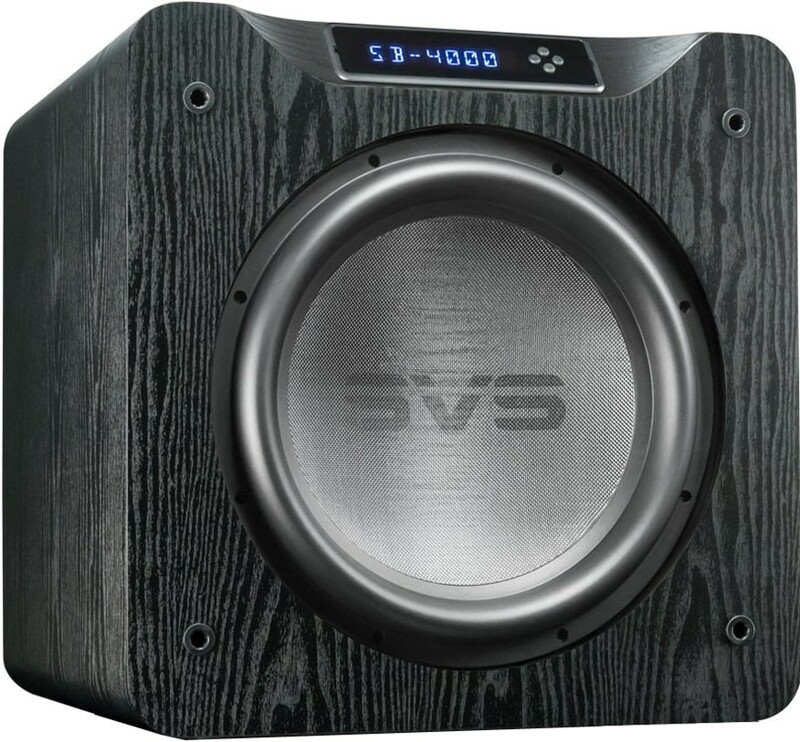 An ideal option for reference quality bass in audiophile music or home theater systems, the SB-4000 sets all performance benchmarks for a subwoofer and leaves larger and more expensive subs trembling in its wake. A high-excursion 13.5-inch driver unleashes immense sonic energy while maintaining pinpoint control and accuracy from a 1,200 watts RMS, 4,000+ watts peak power amplifier featuring fully discrete MOSFET output and Analog Devices most advanced audio DSP. Precise tuning for the SB-4000 is enabled from a subwoofer DSP smartphone app with custom presets. 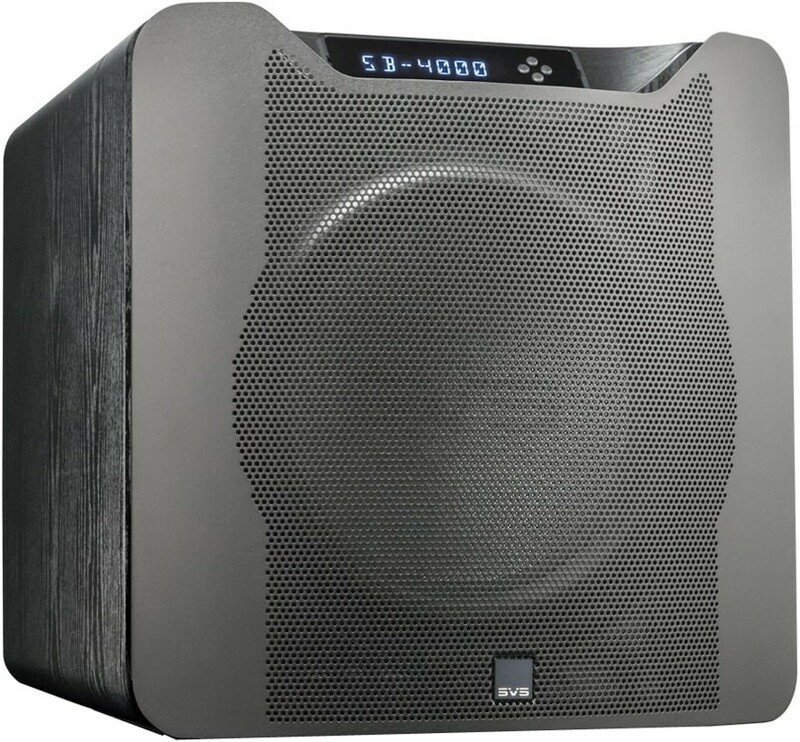 The SB-4000 subwoofer delivers on the full potential of the Sledge STA-1200D amplifier’s power with precision and control to produce room energizing SPLs and effortless low frequency extension with pinpoint accuracy at all drive levels. Dual ferrite magnet motor assembly weighing nearly 40lbs generates immense magnetic force and excursion of the 13.5-inch driver to produce massive low frequency output well below the limits of human hearing. Connects via Bluetooth for convenient control even when subwoofer is out of sight. 3-band parametric EQ controller allows precise adjustments for frequency slope and Q factor down to the single Hz level with four different slopes, so users can improve performance by eliminating peaks, nulls and other room issues. Stores 3 custom presets for movies, music and other listening experiences such as sports or gaming. 2-way feedback shows updates in real time on both the app and subwoofer interface. Inlaid front panel display, rounded edges and a curved metal grille on the sealed box SB-4000 cabinet give it a refined yet commanding look that blends visually with home theaters and high-end audio systems. 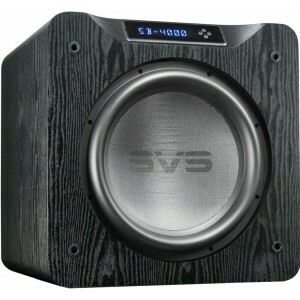 It’s sealed cabinet design results in tighter, more musical bass and make it significantly more compact than ported box subwoofers with similar specs. Double thick 2-inch MDF front baffle and rigid internal bracing to support the massive drive unit and to ensure an acoustically inert environment. Highly reinforced internal design and acoustic insulation eliminates all coloration or resonance from the cabinet, even when the deepest low frequencies are played at reference volume. Protective, non-resonant steel mesh grille and custom elastomer feet for reducing noise artifacts within a room.